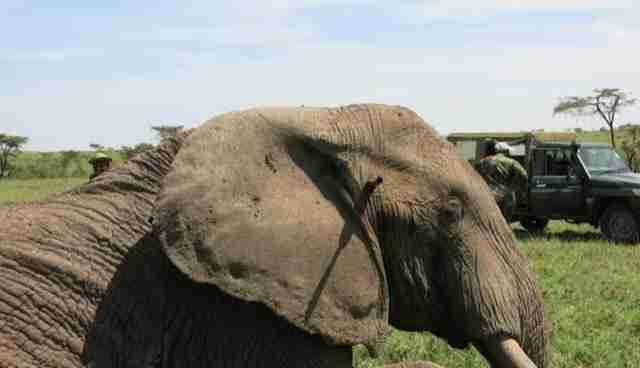 A very lucky African elephant survived a horrific poaching attack this week, thanks to the quick work of wildlife rescuers. 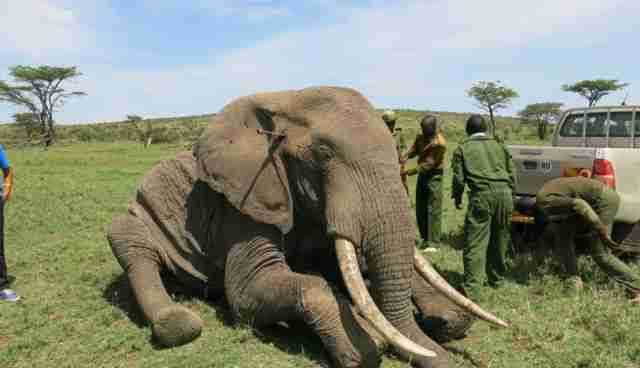 The elephant, a bull living on the Maasai Mara National Reserve in Kenya, was reported to rescuers with the David Sheldrick Wildlife Trust, who immediately flew to the site. What they found was simply horrendous -- one bull with a three-foot metal spear protruding from his head, and a second bull standing near him with a spear wound on his leg. Photos via David Sheldrick Wildlife Trust Veterinarians were horrified to see the extent of the injuries, but heartened by the bull's comrade standing vigil over his wounded friend. The elephant was lucky -- had he fallen on his side, the spear would've been pushed farther into his skull, likely proving fatal. 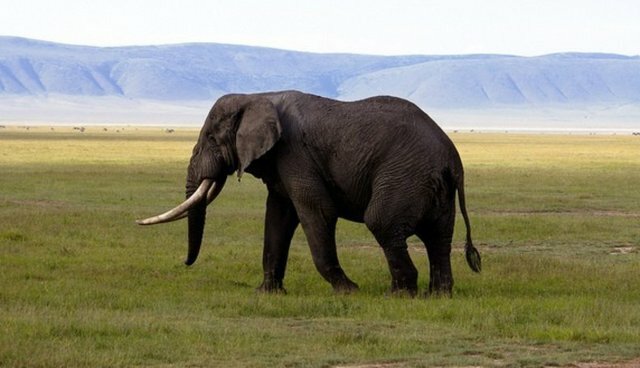 An elephant's brain is the largest of any land mammal (four times the size of a human's), so it's extra lucky that the spear didn't puncture his brain. They tranquilized the animals and carefully removed the spear, cleaning and plugging the wound. According to the vets, "this bull's chance of a full recovery is very positive." The other bull was treated as well, and then both were given an antidote to their sedatives. 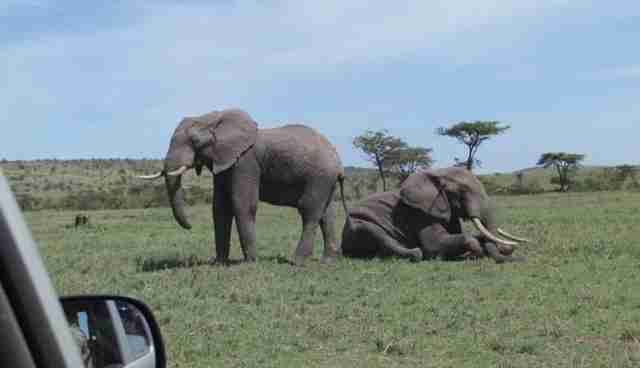 The pair woke up together and wandered off into the brush, safe for another day from the threat of poachers.